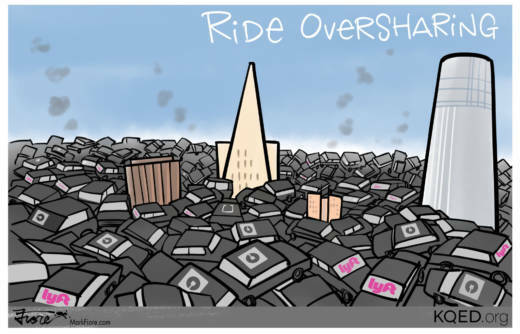 City transportation planners say that ride-services like Uber and Lyft are responsible for about half of the increased traffic congestion in San Francisco from 2010 to late 2016. After factoring a surging economy and a population increase of 70,000 people, the San Francisco County Transportation Authority largely blamed lower speeds and more time sitting in traffic on "transportation network companies." Uber pointed out that the SFCTA study did not account for a rise in tourism while Lyft claimed that ride-services actually reduce congestion.